2018 is the Year of the Dog, which symbolises loyalty and friendship. For the traditional Chinese, Korean, Vietnamese and Mongolian lunisolar calendar, it’s the start of the year. Society is built around tradition. We celebrate Christmas, Easter or Anzac Day because of some sort of tradition or practice in honor of a notable person, significant event or, in some cases, religious belief. Being one of the oldest cultures in the world, the Chinese culture is, unsuprisingly, noted for being traditional to this day. One of the biggest tradition is the Chinese New Year celebration. Chinese New Year, also known as the Lunar New Year, is an annual celebration where chinese families pay respects to their ancestors, thank the gods for good life, pray for good fortune and gather for a reunion dinner. Following a 12-year zodiac cycle, February 16, 2018 is in celebration of the Year of the Dog that symbolizes loyalty and friendship. Because the Chinese culture is such a wide-spread influence, traditional Chinese communities around the world observe, anticipate and prepare for the event on a large-scale level. Traditionally, Chinese communities literally close down businesses, streets and parks to make room for a brilliant parade of dancing dragons, acrobatics, throngs of lit chinese lanterns and fireworks with fascinating hues of red and gold along with the beating of dozens of Tanggus (chinese drum). Families flock the streets to witness the grand parades prepared by their communities while some take to the temples to bring offerings of prayer and food to their gods, ancestors and deceased loved-ones. For children in the family, the Chinese New Year means something altogether. Elders of the family prepare a red envelope with a gold marking of good fortune on the front called “Ang Pau” or “Hong Bao”. These envelopes contain money and are given to every child or anyone unmarried in the family. New Year’s Eve is then celebrated with an exceptional feast of traditional Chinese meat dishes, hotpot, vegetables, noodles to symbolize longetivity and round-shaped fruits to symbolize the shape of coins. On the strike of midnight, traditional Chinese families then greet the new year by eating dumplings or glutinous new year cake. Some of these traditions are observed in other countries but have been modernized to adjust to different demographics. Sydney, being a basin of a diverse culture, is not a step behind and forges in presenting a rather exciting yet traditional series of events from the 16th of February to the 4th of March in celebration of the Chinese New Year. Lion and dragon dances during the celebration are not to be missed along with a fantastic display of fireworks to light up the night sky. You can also head on to Cicular Quay to see the giant animal lanterns made by Asian-Australian artists. There are also night markets with great finds and a dragon boat race in Darling Harbour for those who love to compete! Are you looking for some fun this Chinese New Year eve? Check out the links below for a list of events across Sydney. Or, if you know someone who’s Chinese, maybe get yourself invited for a traditional Chinese feast! But, don’t forget to bring a gift for their table! Either way you go, you’re sure to have heaps of fun! 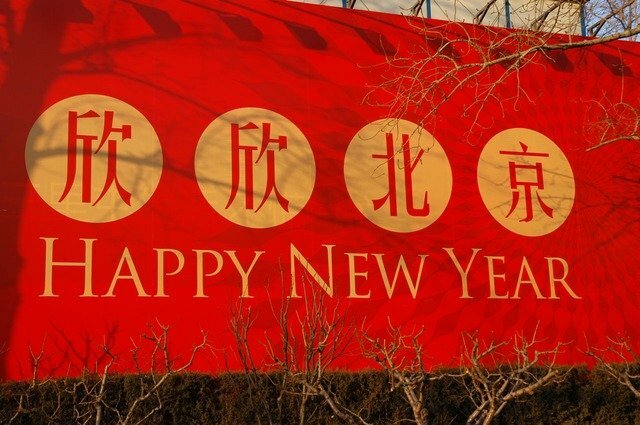 As what the Chinese say: KUNG HEI FAT CHOI, everyone! Bee the first to trial the Bugaboo Bee5!